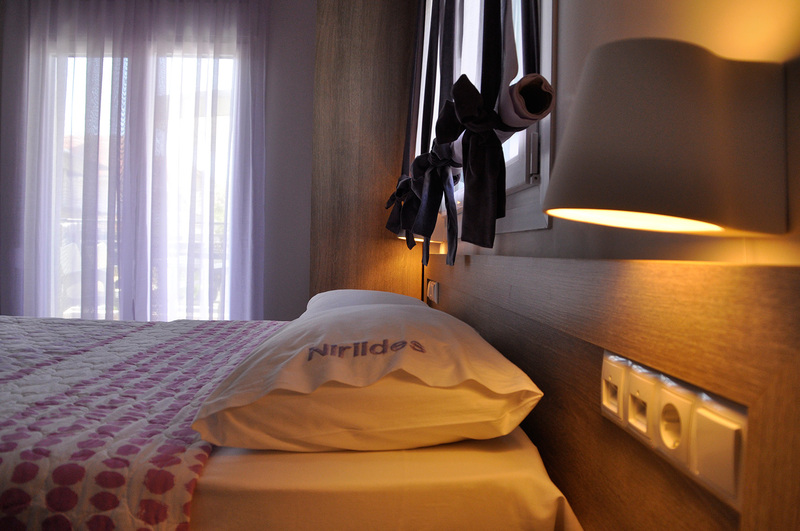 Niriides Hotel, located in the center of Nea Vrasna, has 8 quadruple rooms fully equipped! It is built in 2015 with the principle of bioclimatic buildings. Our unit is a passive building energy class A +, with fully heat-soundproof. It has an outer heat-front of 15cm on all sides, heat-glazed windows and is built with ytong for more thermo-acoustic insulation. All electrical devices within the hotel are energy class A+. Also, a large proportion of electricity consumption is covered by using photovoltaic systems. Finally, there is a room with standards for people with disabilities and there is a lift system. Most recent pictures of Nea Vrasna in Google Street View is from 2014. Niriides was built in 2015!